How Can Dental Bridges And Crowns Bring Back Your Lost Smile? Bridges and crowns are dental prosthetic devices that are fixed on the teeth or implants by means of cementing. The dental crowns are primarily used to cover the damaged tooth or implant, while the bridges help in closing the gap left between the missing tooth. The best thing about using dental bridges and crowns is, they are a permanent solution. Once placed, they are not possible to remove. They are so tightly fixed that they provide a firm base to the base of the teeth. Thus, if you are looking forward to covering your damaged tooth or implant, or if you want to close the gap left between the missing tooth, then crown and bridges can definitely help you out. Eases Pain – If you have a cracked tooth, then quite naturally it would hurt your tongue every time you bite. Taking help of a dental crown can definitely be an exciting idea in such a situation. The procedure for inserting a dental crown is easy and is not all painful. A dentist will be able to treat the cracked portion of your tooth by means of crowns in a blink of an eye. Provides Superb Protection – if you have a damaged tooth that is constantly causing you pain and worry, then dental crowns can be of real help. The dentists use it to protect your natural tooth while it is in a healthy condition. Helps In The Root Canal Procedure – Root canal therapy is the process of treating a decayed or infected tooth. The final step of a root canal therapy involves placing a dental crown on the upper surface of the tooth. This helps in protecting your teeth from dental problems that might arise in the future. 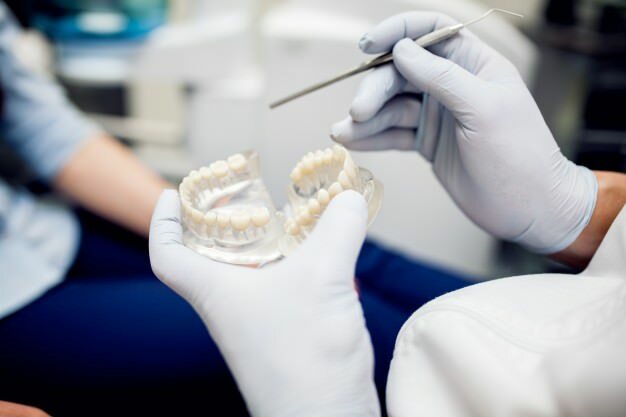 Appropriate Replacement For A Tooth – If by any chance your tooth is required to be extracted, then dental bridges can definitely be the best option. They are easy to insert, and your dentist will be able to complete the procedure in a single sitting. Bone Grafting Is Not Necessary – This is one of the major reasons why dental bridges are so popular. If your bone has recessed at the place of the missing tooth, there is no need for bone grafting for placing the dental bridge. Extremely Budget Friendly – You might be thinking dental bridges are expensive. But the truth is, quite opposite. They are affordable and never digs a hole in your pocket. You can even ask the dentist to use a bridge which is in sync with your budget. Therefore, If you are a resident of Richardson, Texas, and are having a broken or missing tooth, then visit Gentle Touch Dentistry today! Our expert dentists, with years of experience and knowledge, even in the intricate matters of dentistry will treat all your worries with great care. Dial our contact number 469-336-3069 to book an appointment with us. You can also visit us directly at 1750 Alma Rd, Suite 110, Richardson, TX 75081, USA.